I was given this recipe by a great Thermomix loving family who have been very generous, sharing several family recipes with me. They call this one ginger crunch slice, but a key ingredient is something they introduced me to – naked ginger. It is dried, uncrystallised ginger. So, naturally the high school child in me insisted it be called Naked Ginger Slice. Still sweet and intensely gingery naked ginger gives a lovely chewiness to this crunchy and gooey slice. This slice has grown on me since I made it first earlier in the week. I’ll be making it again very soon. And I will bring Grandma some too on my next visit, nursing home dining room rules be damned. For the base, put a handful of pieces of naked ginger (around 6-8 pieces) in the Thermomix bowl with 100g raw sugar and chop for 3 seconds on Speed 8. Put the butterfly in and add 125g softened butter. Cream butter, sugar and ginger for 15 seconds on Speed 4. Add 200g of plain flour and 1 tsp baking powder and mix for 10 seconds on Speed 4. Remove butterfly and press mixture firmly into a greased slice tin until it looks slightly less crumbly. The texture appears weird, but it does work. Bake in 190 degree oven for around 15 minutes until golden brown all over. Cool in the tin while making the icing. For the icing, blitz 90g raw sugar into icing sugar on Speed 9 for 10 seconds. Add 80g butter, 20g golden syrup and 2 tsp ground ginger. Heat for 5 minutes on 60 degrees, Speed 2. Pour icing over the still warm ginger crunch base. Cool in the fridge until icing is set (as I clearly did not in the picture) then slice. 1. Pregnant. Eating cake is mostly guilt free (making exceptions for those with gestational diabetes, where you just have to say ‘I realise there is hardly anything here you can eat and I am really sorry for that. Have a cracker.’). When you are pregnant these days it is often necessary to feel guilty eating almost anything but cake once you have been handed that listeria pamphlet by your well meaning doctor. Any food prepared by others, especially your healthy choices of salads and sandwiches, are possibly harbouring this horrifying bacteria. And under no circumstances eat chicken, deli meats, soft cheeses or anything else that might allow you an enjoyable life. 2. Breastfeeding. Need cake even more than pregnant. Operating on very little sleep, possibly forgetting meals in the constant fog of calculating times between feeds for the wee one and requiring a larger calorie intake than usual due to having all nutrients sucked out every two to four hours. 3. Trying to lose weight. Once breastfeeding stops that larger calorie intake needs to be curtailed quicksmart or the continued lack of sleep and irregular meals seems to start working against your body and weight gain happens while you are worrying if the house is child proofed enough for the junior Houdini who recently emerged from babyhood. Which means cake playdates can be very hard to do. 4. Maintaining sanity. The rest of the parenting experience. Sleep is either still being caught up or just a new level of deprived. Children’s needs continue to outweigh parents’ needs by everything to none. Cake is appreciated but when playdates are more than once a week it is useful to have another choice. Which brings us to muffins. Sure, they are cake like. But I find a bit more room to move in the healthier options department. And nutritional value. For example, you can stick either fruit or vegetables in there and children won’t necessarily run from them. Also, because muffins are supposed to be only barely mixed together they are very quick to make. I have loosely followed a recipe from a blog I googled while looking for a way to make use of an excess of bananas – Cat Can Cook. It seemed to be a fairly robust, simple recipe that could be adjusted easily to fit in whatever you have in the fruit bowl or in the vegetable drawer. 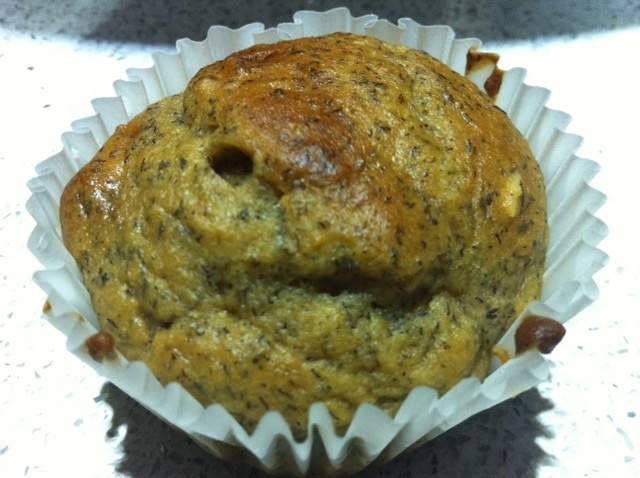 Firstly I did banana and sultana muffins. 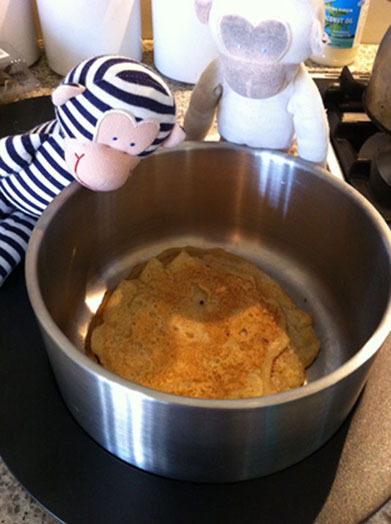 Peel 3 or 4 bananas and break them into pieces as you put them in the Thermomix bowl. Add half a cup of sugar (I used rapadura sugar for these as I had it and am finding it gives a lovely caramelly flavour to things), a teaspoon of cinnamon, a teaspoon of baking powder, a teaspoon of bicarb soda (while you have the teaspoon out), 1 egg, a pinch of salt, 60-70 grams melted butter (or oil – depending on your tastes and what is in your stocks) and 220 grams (or one and a half cups) of plain flour. Mix on Speed 5 for 10 seconds. Check on it, maybe spatula the sides and if need be mix for another 5 seconds. Add a handful or so of sultanas and mix again, but on Reverse this time, for 5 seconds. Decant to muffin tray with patty pans if you can’t be bothered greasing the little indents. Bake in oven on 180 degrees for about 20 minutes. Everyone’s ovens are different so keep an eye on them and don’t do what I did and forget until they are quite brown on top and you can smell them through the house. Or do if that is how you appreciate time. I have also tried apple and blueberry muffins, where you make an apple sauce first (there is one in the Everyday Cookbook – add some cinnamon if you wish) then follow as above, substituting blueberries for sultanas. Adjust sweetness depending on the fruit by tasting the batter. If it tastes as if you could keep eating it without bothering with the oven you should have it about right. As for savoury, I have found if you substitute, say, grated zuchinni and/or carrot (blitzed from roughly chopped to itty bitty pieces prior in Thermomix) for the fruit and grated cheese for the sugar the flavour is about right. You may need to add some salt depending on the saltiness of your cheese. Depending on your child’s tastes you could throw in some spring onion during the grating process to add a zing to the flavour. And there you have your basic muffin. Breakfast substitute for the perpetually foggy minded. Nutrition for the kidlets. Close enough for the cake deprived. While in Sydney there was a request from host niece for buckwheat pancakes for breakfast. Buckwheat has a pronounced savoury flavour, so I found her request refreshing. She has previously been known to be a little particular with food and wary of trying new things. The fact that she prefers buckwheat over regular white flour pancakes as well as a love of lemon tarts (no chocolate or meringue please Aunty!) might just mean she is of a discerning palate rather than just a fussy eater. I have found this with several fussy eaters. It often ends up being a textural or flavour preference as they grow out of the food/control resistance they might put up as toddlers. Anyhoo, my sister and I set to work to make breakfast for the various children tumbling about in the next room. We were after a more crepey result than the American style fat stodgy pancakes that look more impressive but make you regret eating them halfway through the second one. How anyone eats a stack of them I don’t know. 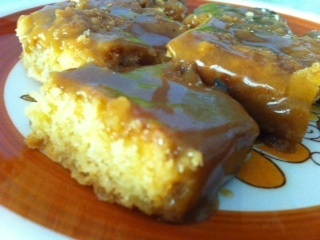 I toyed with a couple of recipes, the one in the Everyday Cookbook and one on Forum Thermomix. I doubled the latter recipe and added some plain flour to take away a little of the strong buckwheaty flavour. So with a bit more tweaking I came to the following recipe. First take 100g of your wholegrain buckwheat, grind to a flour as the Thermomix so satisfyingly does for 30 seconds at Speed 9. Now add 100g of plain flour (or if you are preferring a gluten free option, use 100g gluten free cornflour), 2 teaspoons baking powder, 1 tablespoon of sugar (or not, especially if you are going to drown them in honey or maple syrup), 2 eggs, 40g oil or butter and 500g milk. Mix for 10 seconds on Speed 5, scrape down sides, fire up crepe pan with a smudge of butter melting in the middle. Or just your regular frying pan if you aren’t Niles from Frasier. Pour straight from the Thermomix jug into appropriate sized circles on the heated pan and wait for bubbles. When bubbly on top and not too runny flip over for not very much time. Check underside has browned a little then toss into Thermoserver to keep warm. All pancake making means first one is a bit weird, which usually means the chef gets to eat it. This recipe makes around 15 mid sized thin pancakes which was enough to feed our 5 tiny people and a couple of wandering husbands snacking on them while our backs were turned. Serve with maple syrup, honey, lemon and sugar, blueberries, strawberries, banana, basically whatever is at hand and will get eaten by the little munchkins. You can always get fancy and puree some blueberries and add to the pancake mix. Just add a little more flour to make up for the extra liquid. Blue pancakes are usually received quite well. I did read a recipe that suggested pureed beetroot. I’m sure they tasted lovely but they looked like congealed blood clots in the accompanying photo. Maybe one to save for Halloween.